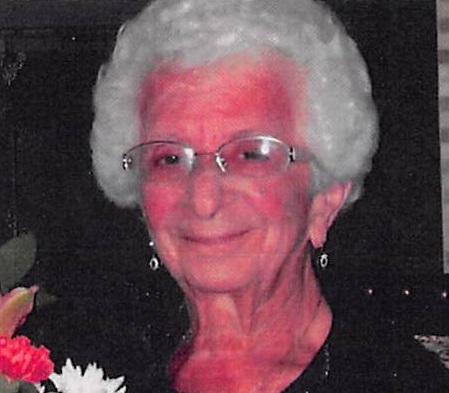 Mary Louise (Maltoni) Rugani, 95, passed away peacefully on Thursday, January 24, 2019 at East Longmeadow Skilled Nursing Home. Born in Springfield, she was the daughter of the late Luigi and Domenica (Macci) Maltoni. A former longtime resident of East Longmeadow, Mary worked as a sales clerk at Rocky’s Home Center for 19 years. A communicant of St. Michael’s Church, she volunteered at Holyoke Soldier’s Home and the former Wesson Hospital as a hospice volunteer and was most happy when she helped others. Mary was predeceased by her husband Joseph C. Rugani in 2004. She leaves two sons; Gary J. Rugani of Belchertown and Brian R. Rugani and his wife Debbie of Hampden, five grandchildren, 8 great grandchildren and one great great granddaughter. She was predeceased by her siblings, Augustino, Julia and Louisa. The Funeral Mass will be on Tuesday January 29, 2019 at 11:30AM at St. Michael’s Church, 128 Maple St., East Longmeadow, followed by burial in Gate of Heaven Cemetery. An hour of visitation will be held at Wilbraham Funeral Home, 2551 Boston Rd., Wilbraham on Tuesday from 10-11AM prior to the Mass. The family would like to thank all the wonderful nurses and staff members of Mason Wright Summit Elder Care and the East Longmeadow Skilled Nursing who spent time caring for Mary. In lieu of flowers, memorial contributions may be made to the Alzheimer’s Assn., 264 Cottage St., Springfield, MA 01104.